Paragon NTFS for Mac is a reliable low-level file system driver to bridge incompatibility of Windows and Mac OS. 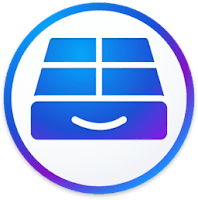 It's an effective NTFS solution suitable for end users, SOHO and the Enterprise that solves the communication problems between the Mac system and NTFS, allowing you to easily write, edit, copy, move, delete files on NTFS volumes from your Mac. Paragon NTFS for Mac 15 driver is based on unique Paragon Technology - Universal File System Driver (UFSD) which was specially developed to provide full access (read/write, format, etc.) to volumes of the most popular file systems (NTFS, FAT, Ext2/3FS etc.) under various platforms (DOS, Android, Windows, Linux and Mac) when these file systems are not supported. The program is fully compatible with Apple’s new security policy, ensuring fast, hassle-free, and safe access to NTFS Windows partitions on Mac systems. Once It's installed, users can get started immediately by navigating volumes and reading, editing, copying, or creating files and folders. NEW Paragon NTFS for Mac® is finally available in user's macOS Applications Center. NEW Dual-boot user? The new Boot Manager allows setting which operating system (macOS or Windows) to start from. Disclaimer: Direct downloads for the lastest version of Paragon NTFS for Mac 15.0.828 are provided by the official software's author, we can't guarantee safety, availability or download speed. Moreover, we don't and we won't provide any pirated/illegal versions or tools. We recommend you to avoid it as these methods can harm your device. If you like the software, buy it to support the developers. (We provide software discounts for many worldwide brands).